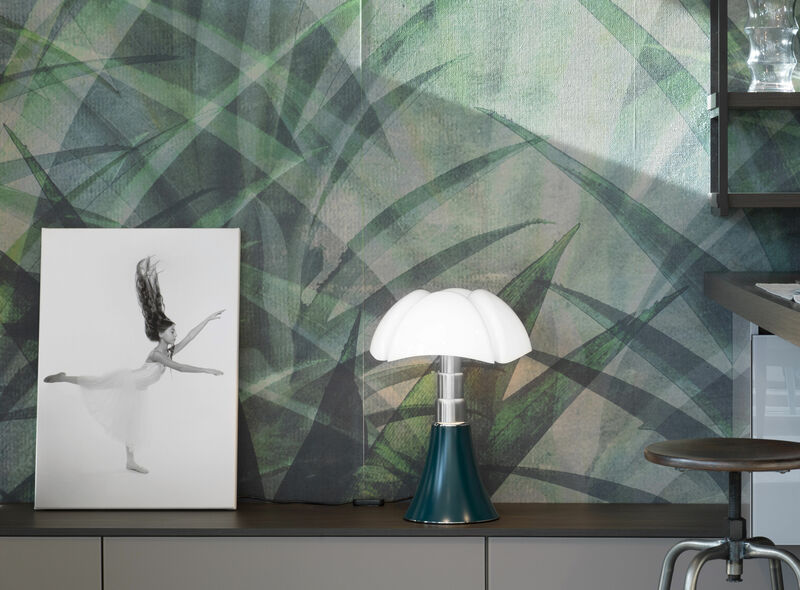 A cult design object, the Pipistrello lamp is constantly renewing itself, adopting new ultra-trendy finishes such as this superb version with an Agave green base. 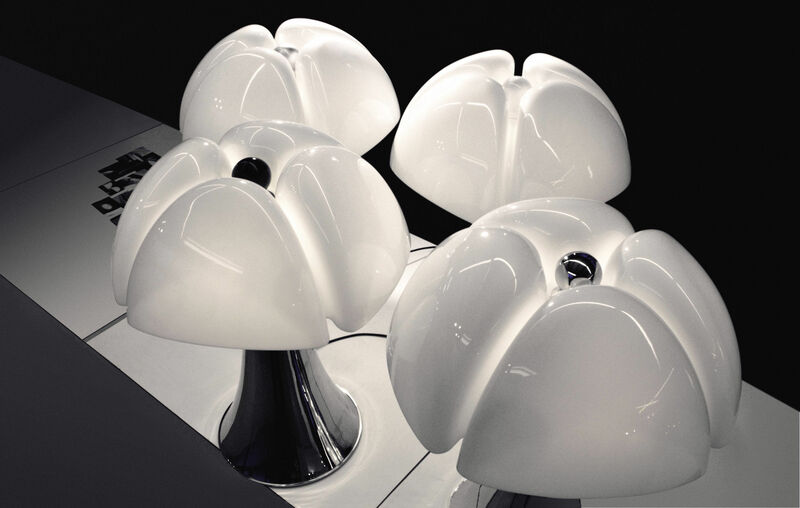 Mythical and showcased in the greatest museums around the world, Pipistrello is one of those objects that have become part of our universal heritage. 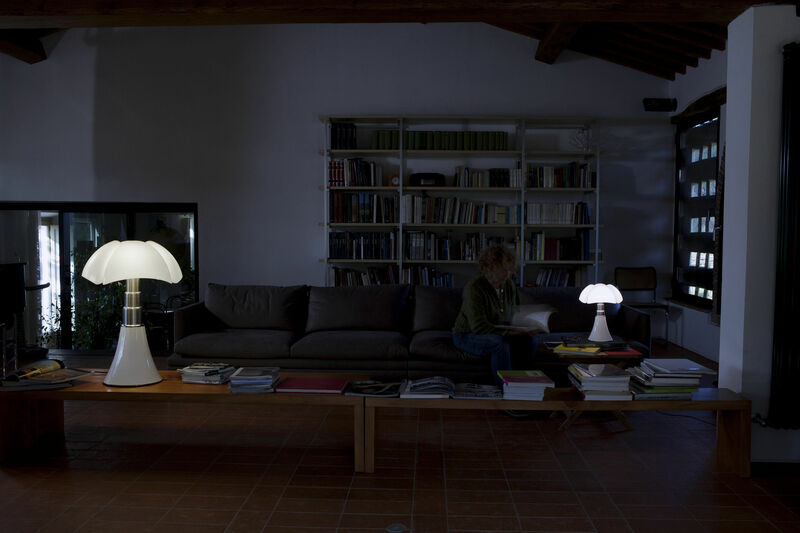 Created by Gae Aulenti in 1965, this lamp with its undulating lampshade looks like a bat (pipistrello in Italian). 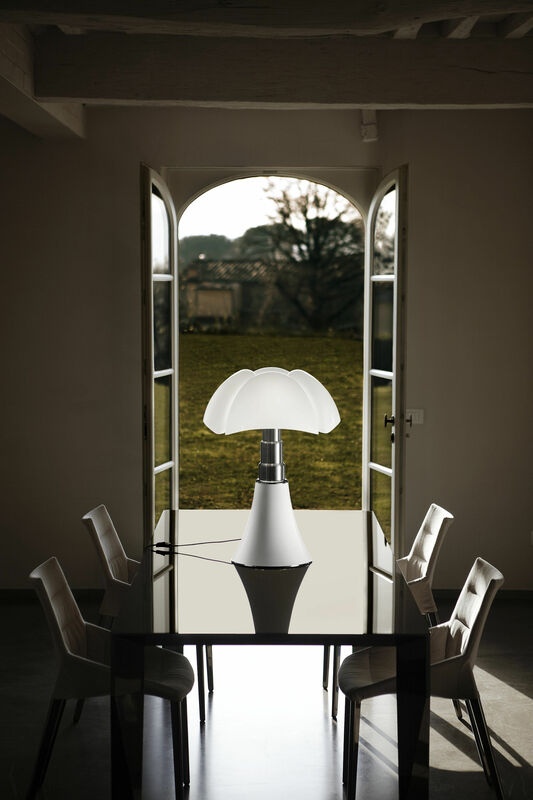 It’s a table or floor lamp with diffuse light. 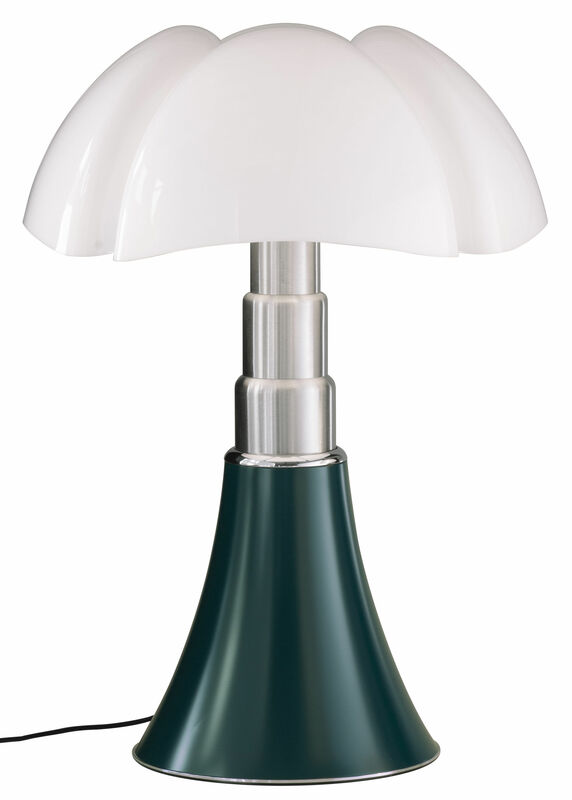 A stainless-steel telescopic rod system lets you adjust its height (66-86 cm). The diffuser is in opal white methacrylate while the base is metal. 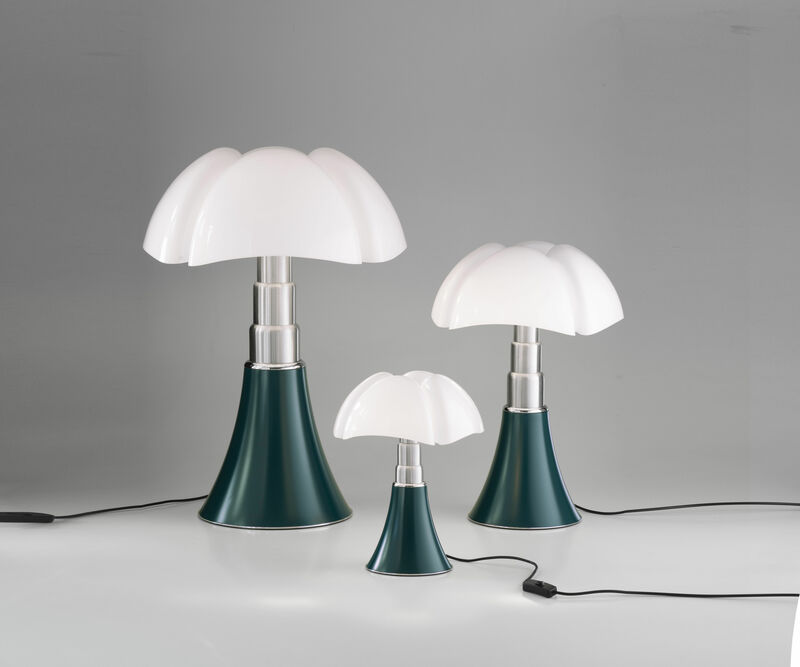 Original model from 1965, made in Italy by the Martinelli Luce factory.